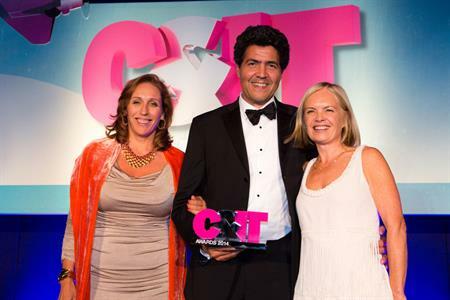 BrandFuel was crowned the winner of Business & Finance Event of the Year at the C&IT Awards for the Google Zeitgeist 2013 event at The Grove, Hertfordshire. Keeping an event held annually at the same venue fresh is a challenge for event planners, yet Google Zeitgeist 2013, delivered by BrandFuel for the eighth consecutive year, was described by Google EMEA head of events Amy Brown as "truly the best Zeitgeist ever". The two-day, invitation-only annual conference at The Grove in Hertfordshire is one of the brand's most prominent global events and brings together 500 "global thought leaders and visionaries to explore the spirit of the times through discussions of politics, the economy and culture". An additional sister event, Big Tent, for 300 other guests and journalists is held immediately after. For Zeitgeist 2013, BrandFuel managed 42 unrehearsed, high-profile speakers including Google founder Larry Page and executive chairman Eric Schmidt; brought to life new products such as Google Glass and 3D printer pens; created top-class banqueting in a tent that was transformed into a wild forest meadow; and staged entertainment using projection mapping.